Bar Harbor's Jesup Memorial Library, as seen on May 22, 2018. A family with Bangor roots that owns and operates one of the largest hotel and resort firms in North America has donated $500,000 to help fund the expansion of the Bar Harbor library. The gift from the Walsh family, whose Ocean Properties Ltd. portfolio of more than 125 hotels includes several hotels in Bar Harbor, is part of a $9.8 million capital campaign at the Jesup Memorial Library, library officials said in a prepared statement. 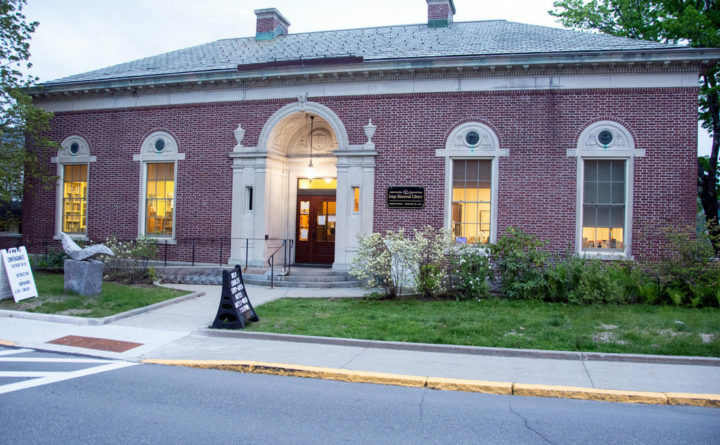 The campaign aims to raise funds for an endowment for the library, to preserve the building, which was completed in 1911, and to expand to an adjacent lot on the corner of Mount Desert and School streets. According to Lee Bonta, development director for the library, the gift will allow the library to pay off the mortgage for the adjacent quarter-acre property, which the library bought in 2012 for $760,000. He cited Jesup Memorial Library, the Criterion Theatre and the Bar Harbor Club on West Street as three historic structures in town worthy of preservation and support. The gift is the largest so far for the library’s current fundraising effort, according to Ron Beard, chair of the library’s board of directors. “We are talking with several other potential major donors as we prepare for the anticipated full launch of the campaign later this summer,” Beard said.